sharing or replication of file system directory which the property "sandboxes.home" is pointing to. E.g. on Unix-like systems it would be typically /home/[username]/CloverDX/sandboxes. 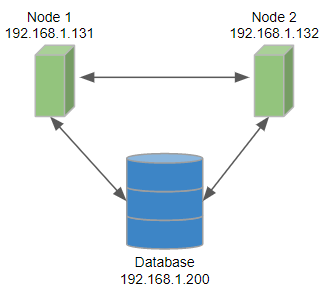 This example describes a simple Cluster: each node has a direct connection to a database. The configuration is done in a properties file. The file can be placed either on a default or specified location. 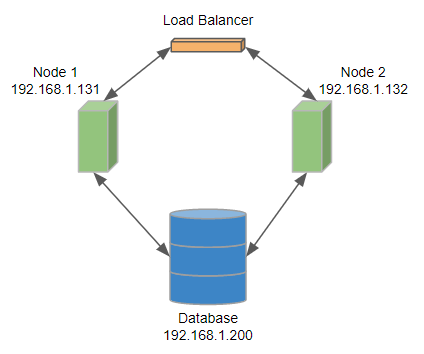 This Cluster configuration is similar to the previous one, but only one node has direct access to a database. 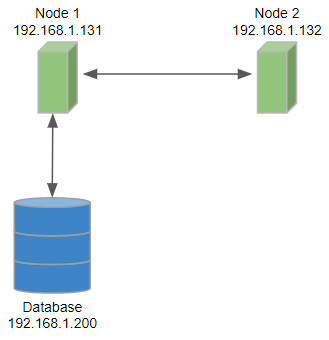 The node2 has to use node1 as a proxy. These two lines describe access to database via another node. If you use any external load balancer, the configuration of CloverDX Cluster will be same as in the first example. The cluster.http.url and cluster.jgroups.bind_address are URLs of particular Cluster nodes even if you use a load balancer.